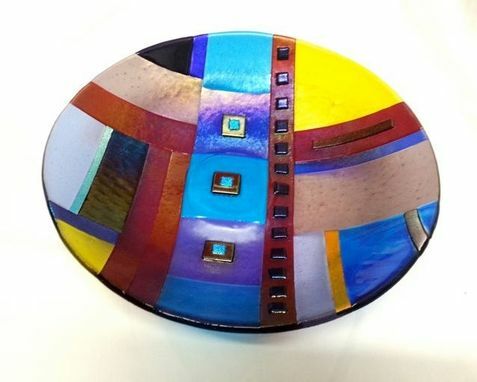 14" wide x 3" inches deep bowl hand made by me, Rachel, in my Cocoa Beach studio. 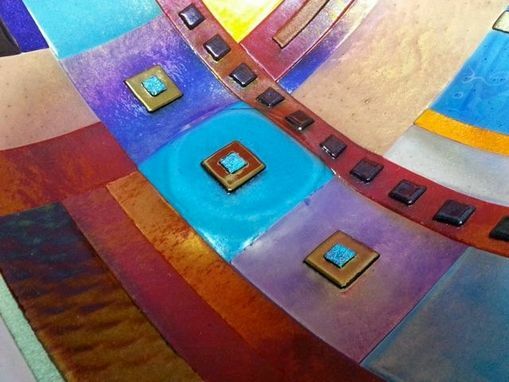 I used lots of different colored irredescent glass & a few pieces of dichroic glass , and then fused this together in my kiln. 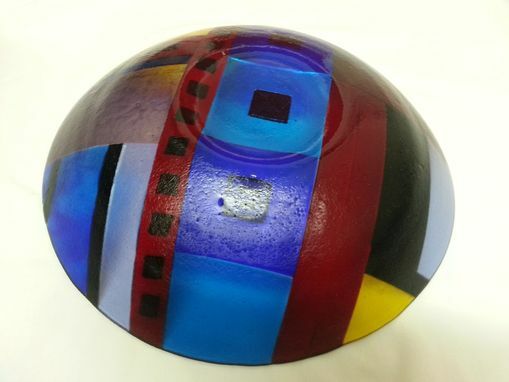 A second firing was done in order to shape my newly created sheet of fused glass into this bowl. Finally, I signed the piece. 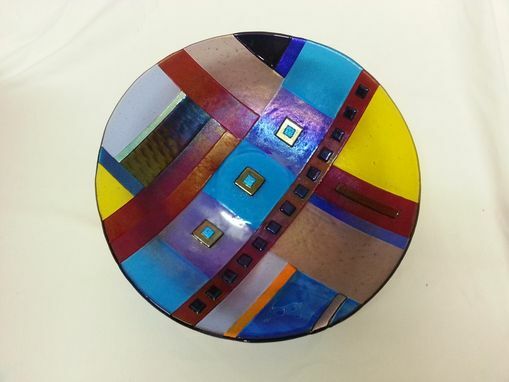 Although my pieces are very sturdy,dishwasher and food safe, it is probably safer to hand wash to aviod accidents.